The Douglas motorcycle is, like many of our lights, a British design classic. 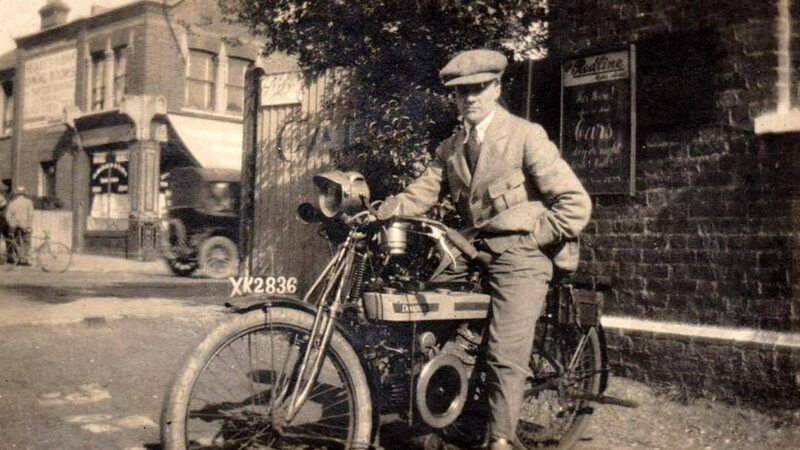 Based in Bristol from 1907-1957 British manufacturer Douglas is probably best known for its twin cylinder dirt bike. 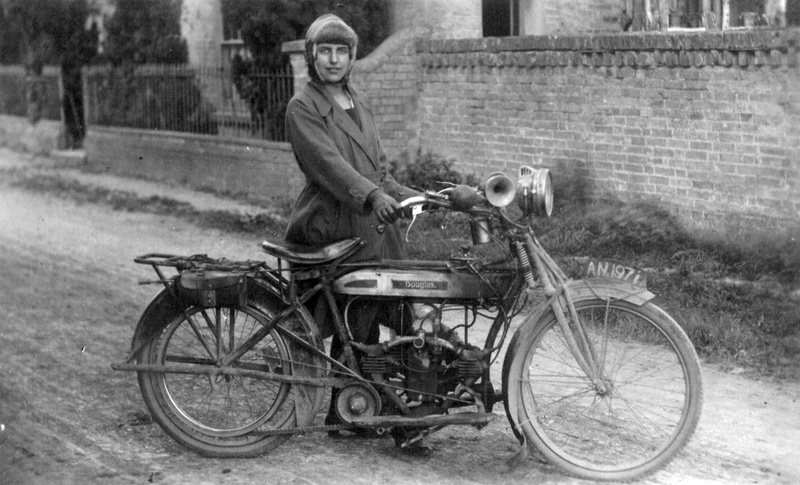 The 'Duggie' motorcycle was built originally for rough terrain off road riding and rose to fame in the early years of the twentieth century as advancements in motor technology and manufacturing made mass produced bikes available. 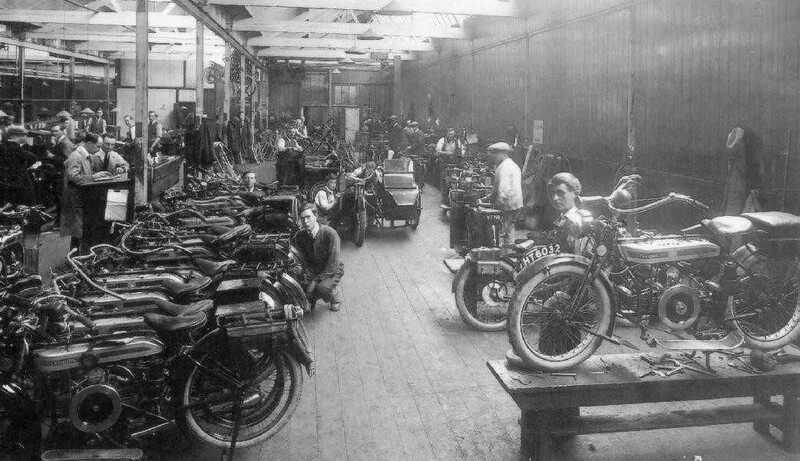 It was here in Bristol that our Benjamin lights hung, illuminating the three thousand strong workforce as they assembled and tested these classic bikes. Hugely popular with the English middle classes between the two World Wars as the twin concepts of leisure time and escaping city life to enjoy the countryside for workers on their days off were marketed as something to aspire to. 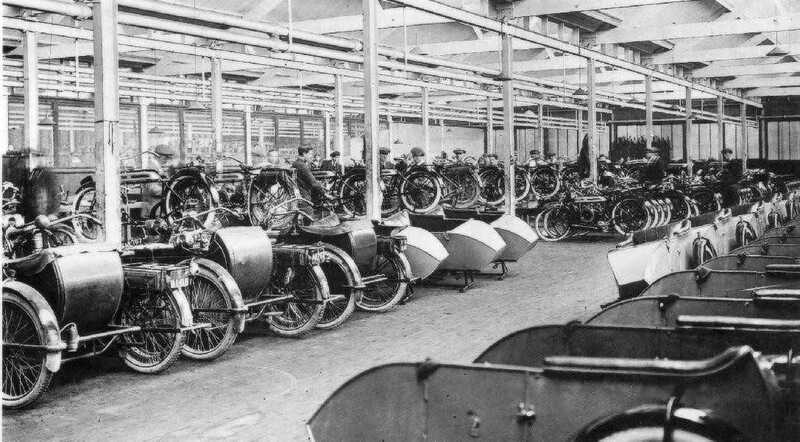 A motorcycle and sidecar would have been a far more affordable option than a motorcar and gave workers a new found freedom previously available only by those in power. 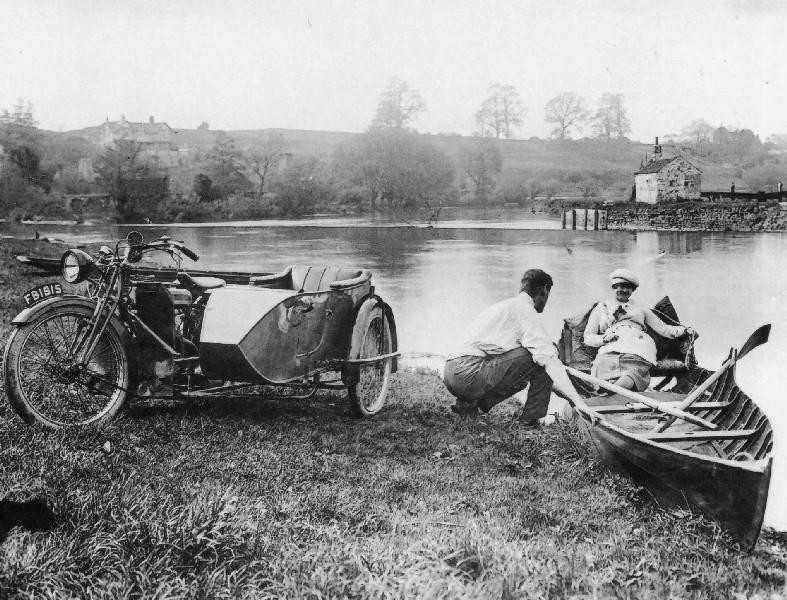 Ridden by the likes of Royal princes Albert (Bertie- later George VI) and Henry, the bike became a symbol of the new English mobility, physical and social. A bike ridden by both royalty and workers. The Douglas factory closed in the 1950s when competition from Italy in the shape of their Vespas simply became too much and building the Douglas in the UK was too expensive by comparison- a pattern seen across much of British industry with the rise of mass production abroad and cheap imports. Since then the lights have been left untouched until redevelopment of the space led them to us. Now beautifully refurbished the white classic Benjamin lights have been brought back to life, and are truly a part of British design history.